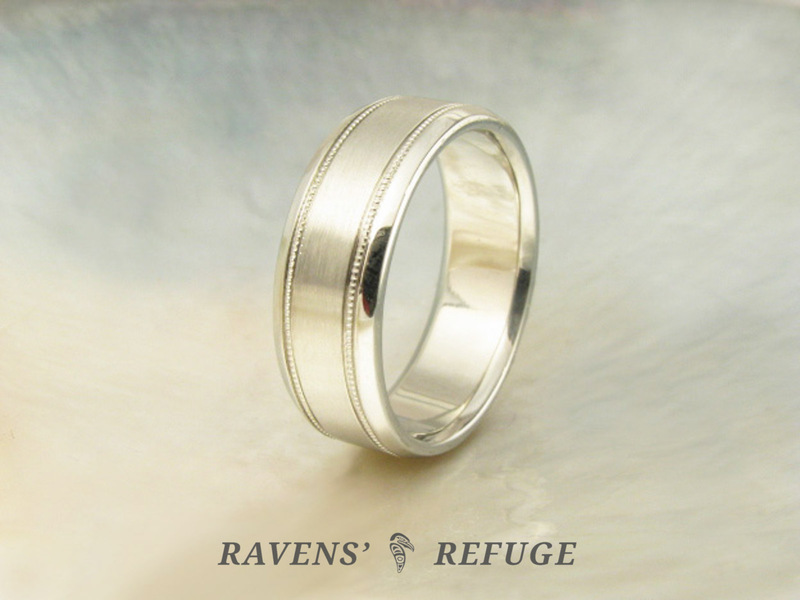 Here is a band of 14k white gold, crafted of hand-milled stock that is 7mm wide and 2mm thick. 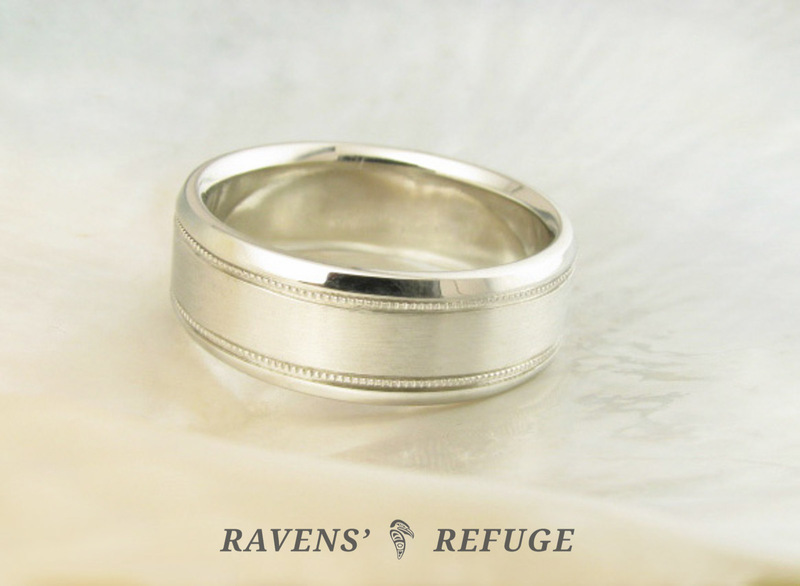 The band has a satin finish and beveled, polished edges, with a line of milgrain separating the center from each beveled edge. 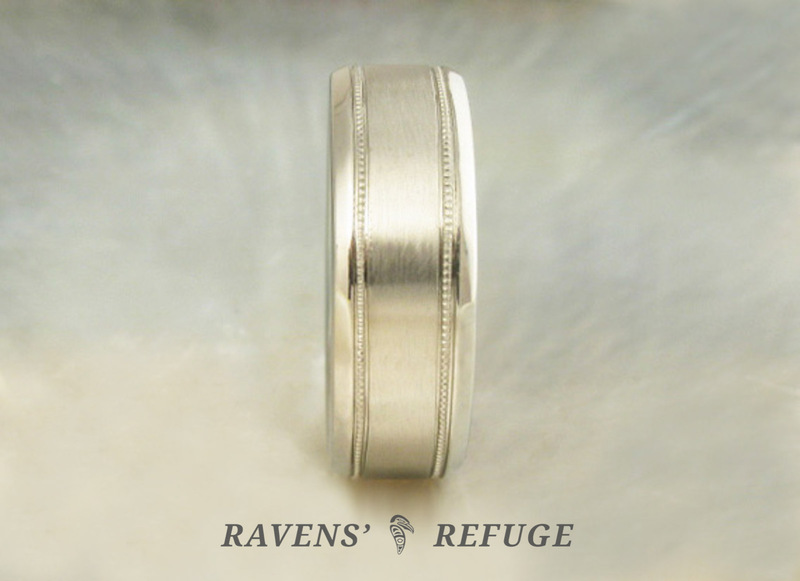 It is nice and solid and finished with a comfort fit profile. 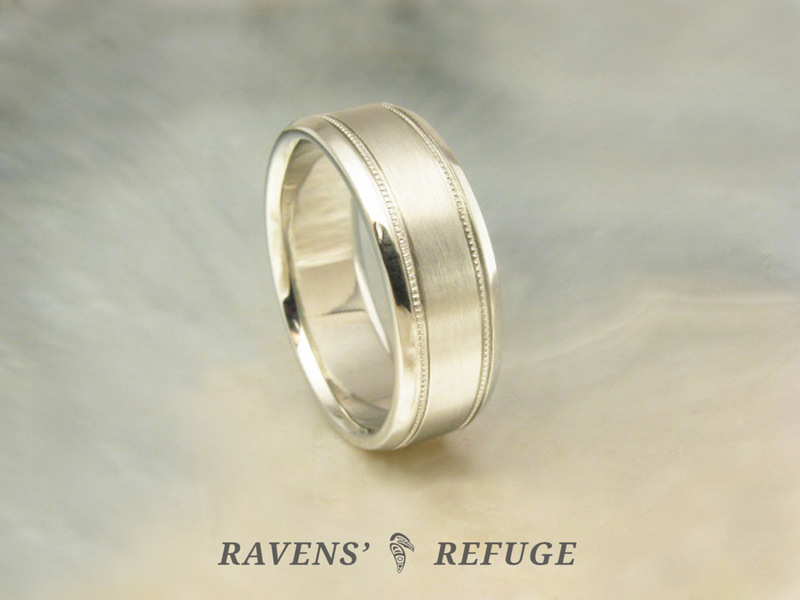 Your ring will be made from scratch: Dan will alloy gold, pour an ingot, hand mill the stock & finish the ring to your preference. 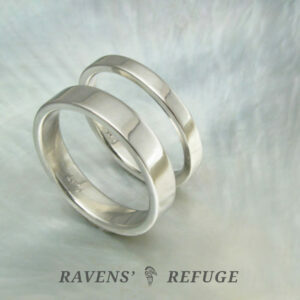 Because the metal is cold worked, hand forged bands like this one are denser and stronger than bands that are cast. 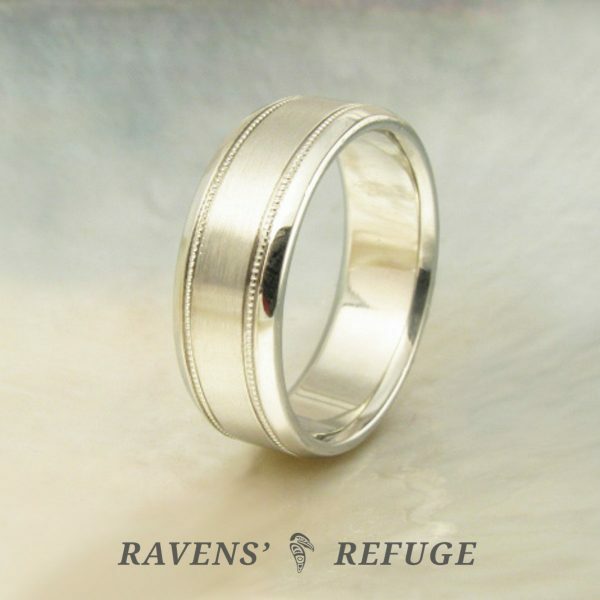 This listing covers up through size 10. 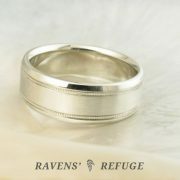 Size 10.25 and above, please contact us for pricing. 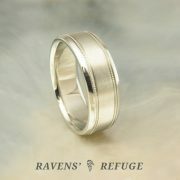 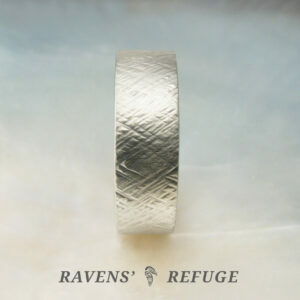 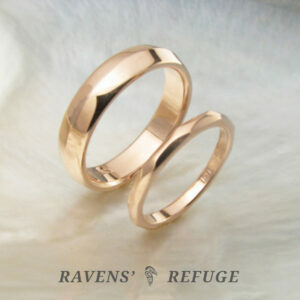 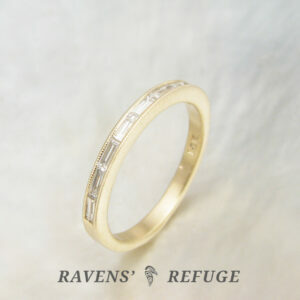 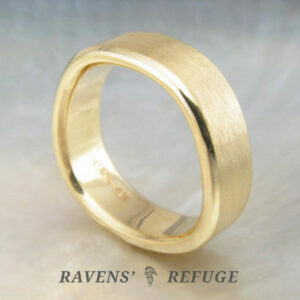 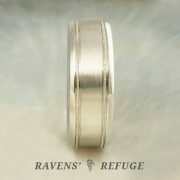 We have several variations of this band, with smooth or hammered centers, in our shop.